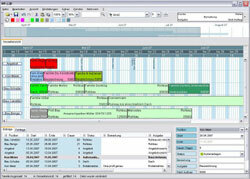 DaHL-Software - GTP 2 intuitive time planner - Welcome! Many companies have the need to present their capacities/time slots clearly. At present they are using index card systems, planning tables or other manual methods to make their tasks visible. Often these aids are bulky or difficult to transport, and, as a result, important information is missing at meetings. Furthermore, these systems are difficult to transfer to fellow employees. 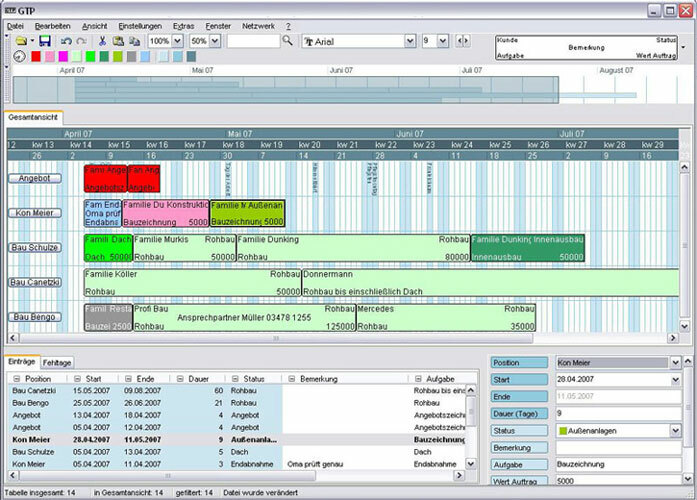 Do you find other project planning tools too complex and confusing in their application? You have no need for complex programs with functions of which you only use a small part of? You would like intuitive software? Then we have what you are looking for! Download our demo version free of charge today and let our project planning tool inspire you!